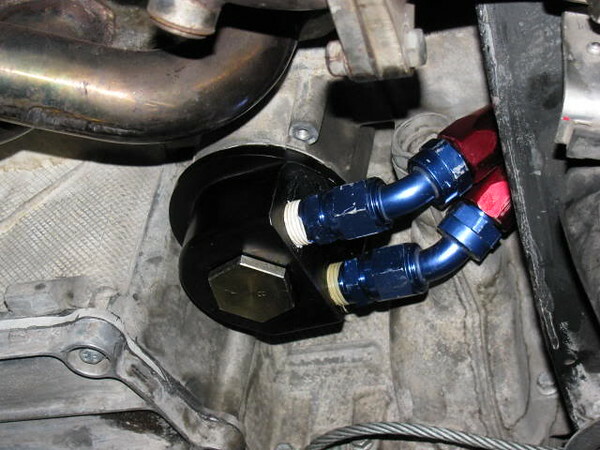 What are your thoughts on the install below vs. the typical install at the oil filter? Also, those of you running the Accusump through the oil filter what sandwich plate setup are you using? I believe the main question is wether this is an efficient place for inserting the oil, from a lubrication perspective. 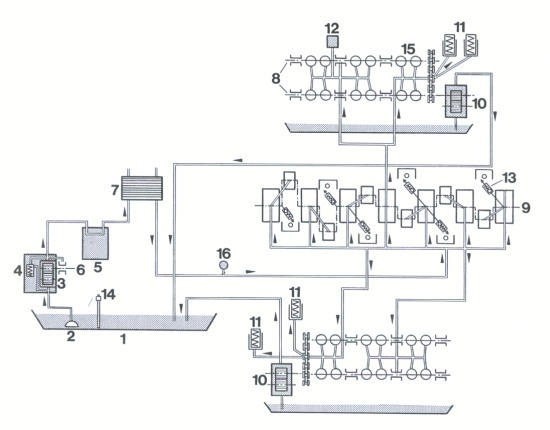 Would need to se a schematic for the M96 oil Circuit, where can that be found? Looking at this it doesn’t seem to make much of a difference. This is my setup. I use a Mocal remote oil filter take-off plate, but with that set-up, I still needed the LNE Spin-on adapter. TuneRS makes a really nice all-in-one take-off plate that does not require the LNE adapter and has a built-in check valve. Last edited by AZ986S; 11-25-2018 at 03:02 PM. 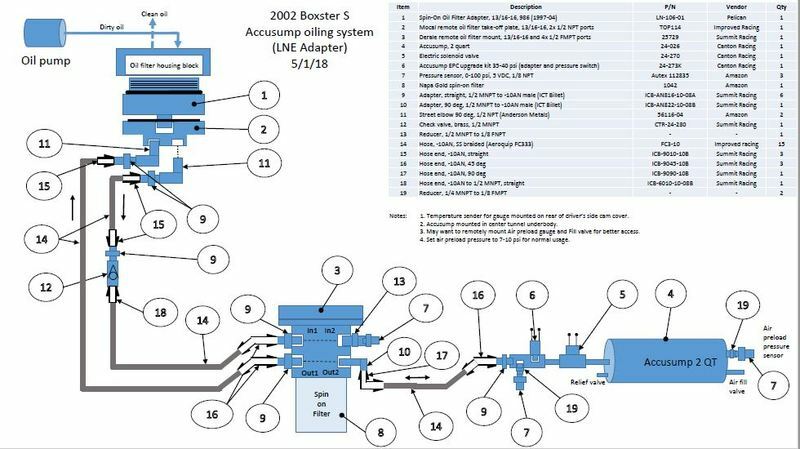 I´m starting to like the oil-cooler approach, should get the job done and it´s very clean with a minimum of components.